Heart failure affects nearly 6 million Americans. Roughly 670,000 people are diagnosed with heart failure each year. It’s the leading cause of hospitalization in people older than age 65. That’s why it’s more important than ever to understand what heart failure is, what causes it, what its symptoms are, and how to treat it. Congestive heart failure, also known as heart failure or abbreviated as CHF, is a condition that happens when your heart doesn’t pump blood as well as it should. Heart failure often develops after other conditions have damaged your heart. Heart failure can also occur if the heart becomes too stiff. Coronary artery disease and heart attack: Coronary artery disease is the most common form of heart disease and the most common cause of heart failure. High blood pressure (hypertension): If your blood pressure is high, your heart has to work harder than it should to circulate blood throughout your body. Over time, this extra exertion can make your heart muscle too stiff or too weak to effectively pump blood. Faulty heart valves: The valves of your heart keep blood flowing in the right direction through the heart. When a valve is damaged, it forces your heart to work harder. This can gradually weaken your heart. Damage to the heart muscle: Heart muscle damage (cardiomyopathy) can have many causes, including several diseases, infections, alcohol abuse, and the toxic effect of drugs, such as cocaine or some drugs used for chemotherapy. Genetic factors also can play a role. Myocarditis: Myocarditis is an inflammation of the heart muscle. It’s most commonly caused by a virus and can lead to heart failure (left-side specifically). Heart defects you’re born with (congenital heart defects): If your heart and its chambers or valves haven’t developed correctly, the healthy parts of your heart often have to work harder to pump blood through your heart. This may lead to heart failure. Abnormal heart rhythms (heart arrhythmias): Abnormal heart rhythms may cause your heart to beat too fast. This makes your heart have to work harder. A slow heartbeat also may lead to heart failure. Chronic diseases: Chronic diseases like diabetes, HIV, hyperthyroidism, or hypothyroidism may also contribute to heart failure. Heart failure can be ongoing (chronic) or it can start suddenly (acute). 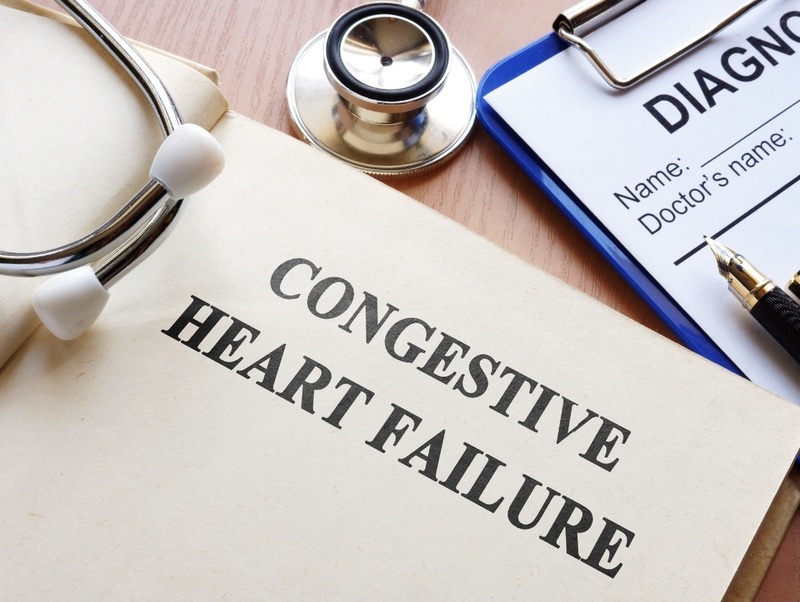 One of your biggest concerns when your elderly loved one is diagnosed with congestive heart failure is likely to be what sorts of treatment options are available. For some people, your doctor may be able to treat heart failure by treating the underlying cause. But, for most people, the treatment of heart failure involves a balance of the right medications, lifestyle modifications and, in some cases, use of devices that help the heart beat and contract properly. Here are some of the ways your loved one’s doctor might opt to treat their heart issues. 1. Make Lifestyle Recommendations: The first plan of attack for most people with congestive heart failure is to change some aspects of their lifestyle. This might mean a change to your loved one’s diet, a new exercise plan, or even getting certain vaccines. How your loved one handles stress and whether they are sleeping well can also contribute to how well they manage their congestive heart failure symptoms. 2. Stop Specific Activities: Some of your loved one’s habits may have to stop completely in order for them to manage their congestive heart failure properly. Caffeine, smoking, excessive salt, and even alcohol may need to be removed entirely from your loved one’s daily or weekly routine in order to keep them healthier. Many of these items can be things that have been part of their life for decades, so leaving them behind may be difficult. 3. Prescribe Medications: Often your loved one’s doctor will prescribe medications, too. This might be at the same time their doctor recommends lifestyle changes for your loved one, but it can also happen after you’ve given the lifestyle changes time to make a positive effect. If your loved one is prescribed medication, it’s essential to make sure they are taking them exactly as prescribed. 4. Install a Pacemaker or Other Devices: In some cases, your loved one’s heart may need help beating in the proper rhythm, so their doctor may opt to insert devices in their chest that help with that. Pacemakers and other devices can help to control the rhythm and even take over some of the pumping functions for their heart. 5. Recommend a Transplant: Hearing that your loved one needs a heart transplant can be terrifying, but in the worst cases of congestive heart failure, this may be the best option for your loved one. It’s a risky option, though, so your loved one’s doctor may only recommend this as a last resort. Having support from you, other family members, and home care services providers can help to make all of these different treatment options much easier on your loved one.